Sanctions against Russia should remain in place until the full implementation of Minsk agreements. The European Union is working on a large-scale programme of assistance in the restoration of the infrastructure in eastern Ukraine destroyed as a result of Russian aggression. "We are preparing an important EU programme for government-controlled areas of Ukraine along the contact line. 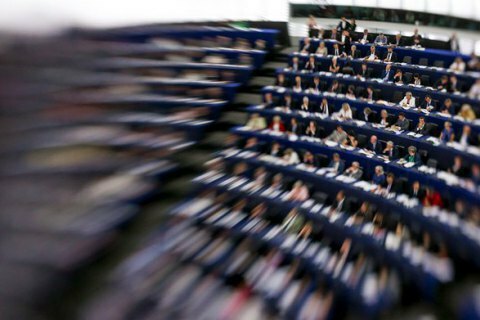 The programme is aimed to support economic development, social integration and the creation of jobs," the representative of Malta's EU Presidency Ian Borg said as quoted by Ukrinform during a debate in the European Parliament on the Donbas escalation. Borg said that this programme will be based on the financial plan for the years 2018-2020 and will encompass large-scale reconstruction of territories in eastern Ukraine, when the situation allows. The EU representative also stressed that sanctions against Russia should remain in place pending full compliance of Minsk agreements. Ian Borg assured that the issue of Ukraine remains one of the top priorities on the EU agenda. In late 2016, the head of the Donetsk military and civil administration Pavlo Zhebrivskyy said the restoration of Donbass may cost at 20bn.